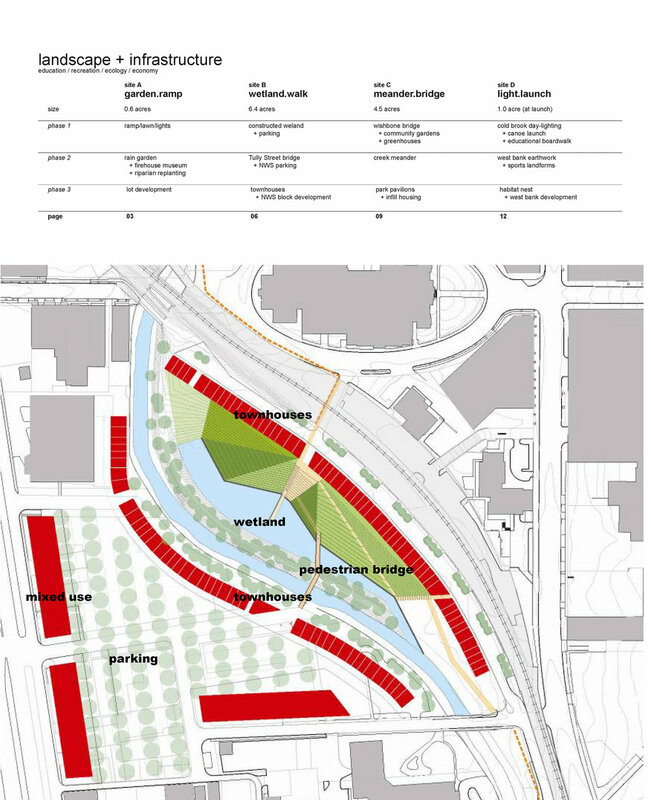 Projecting Futures is a strategic asset based waterway plan and public space concept design to secure implementation funding. The Onondaga Creek is Syracuse’s longest and most underutilized infrastructure asset. The economic development agency recognized this and wanted to transform it into an attraction for new businesses and an amenity for the community. To secure implementation funding they needed the ability to show the recreational and economic potential of the waterway. 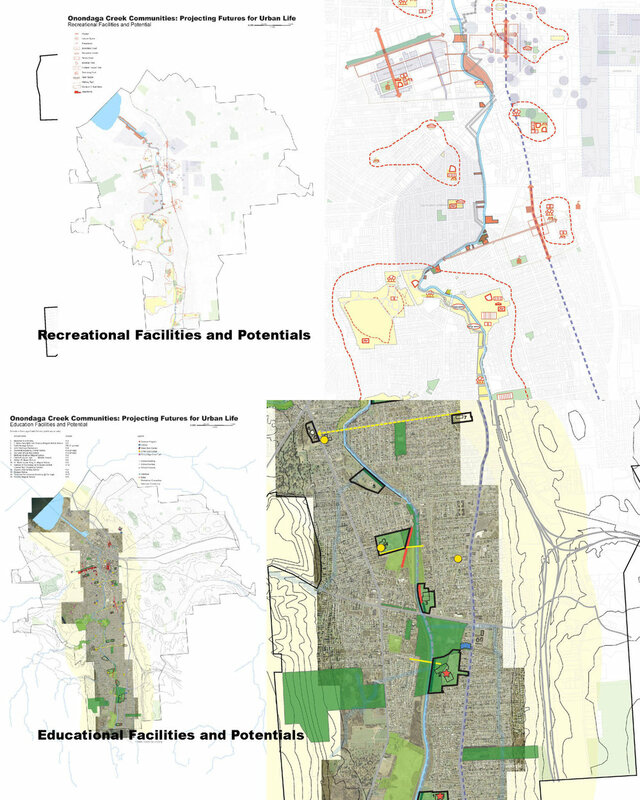 LOCUS joined a team of landscape architects, urban designers, and an environmental institute to map, analyze, strategize, select, and design catalytic sites. To help the client generate support we designed a book and a presentation to tell a compelling story about the creek's potential to transform from a source of pollution to a catalyst for urban growth.